PORTLAND – To win his second game at Hadlock Field, Casey Kelly needed to be consistent, and hope his teammates could figure out Kyle Gibson. Kelly pitched 52/3 strong innings Sunday afternoon, and the Portland Sea Dogs got to Gibson for six runs in a 7-3 win over the New Britain Rock Cats before a crowd of 6,004 at Hadlock. 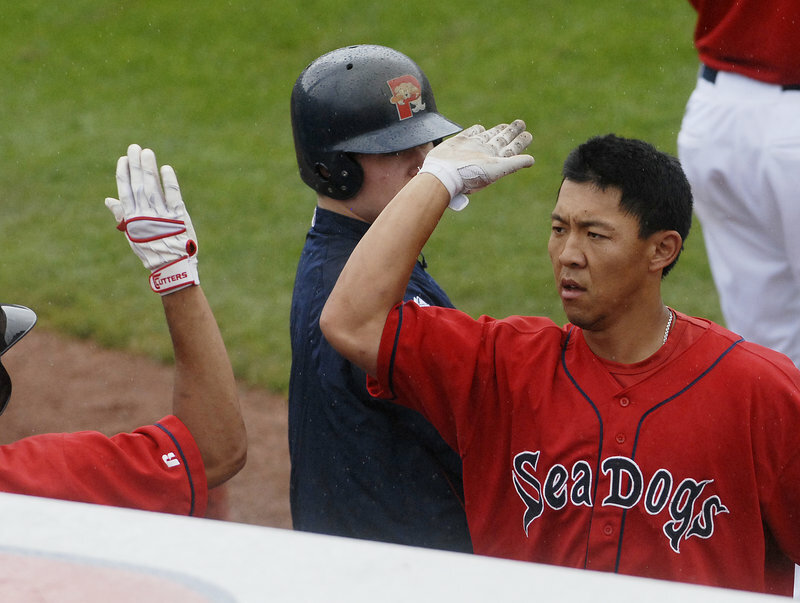 Anthony Rizzo and Ray Chang homered for Portland as the Sea Dogs beat Gibson (5-4) for the first time in four tries. 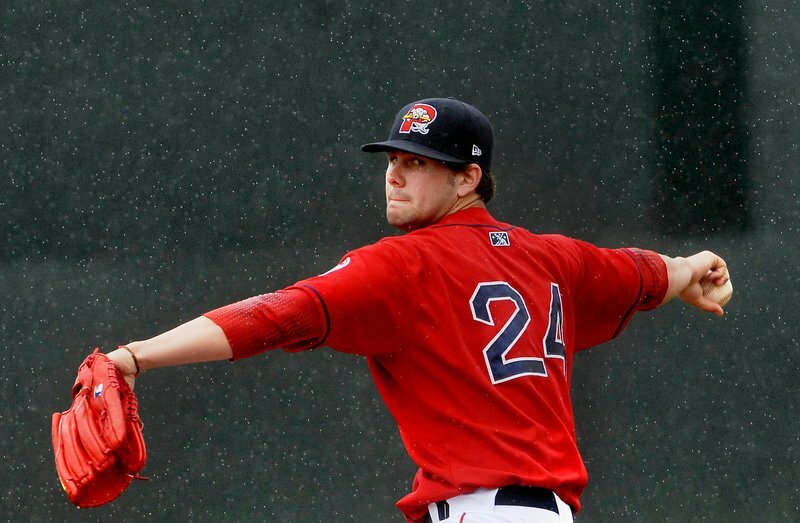 Gibson, the Twins’ top pitching prospect, had allowed a total of four runs in his last three starts against the Sea Dogs. But Portland produced seven hits against Gibson over 41/3 innings while taking a 6-2 lead. “It didn’t look like (Gibson) had his best stuff,” Portland Manager Arnie Beyeler said. “But our guys have made some good adjustments to him. Among the other hitting standouts were Yamaico Navarro (two hits, RBI), Chih-Hsien Chiang (two hits, RBI), Nate Spears (two hits) and Matt Sheely (RBI double). The offensive support buoyed Kelly (2-4), who has found wins hard to come by in Double-A. Kelly allowed two runs on five hits and two walks. He struck out two and lowered his ERA to 5.28. During the All-Star break, Kelly will fly home to see his family in Sarasota, Fla. When he comes back, he expects to go on a roll. “I’m not just happy to be here anymore,” Kelly said. “I’m ready to dominate and be the pitcher I know how to be. “I had the fastball moving in and out, and the change-up,” Kelly said. “I threw the curveball just to plant a seed in their heads. Portland (44-45) took a 1-0 lead in the second on Chang’s sixth home run of the season, over the left-field wall. After New Britain (25-65) scored its pair against Kelly, the Sea Dogs went ahead for good in the fourth. The left-handed hitting Rizzo led off with his ninth home run, swatting a change-up to the opposite field. Chiang singled, and Sheely doubled him home for a 3-2 lead. A triple by Spears, Navarro’s RBI single and walk to Rizzo ended Gibson’s outing in the fifth inning. The relief did not help. Chang walked to load the bases, and Chiang was hit by a pitch to make it 5-2. Then Sheely flied out to right, and a mental mistake by the Sea Dogs actually turned into another run. After the ball was caught, Rizzo tagged up at third but was going to hold up. 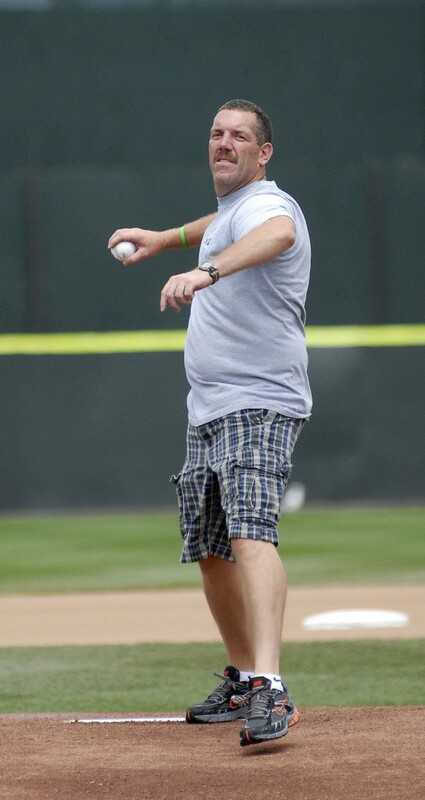 Chang, however, was running hard from second base to third. Chang quickly reversed course and hustled back to second. A relay throw was too late to get Chang, and an alert Rizzo raced home for a 6-2 lead. Portland reliever Santo Luis gave up a run on three walks and a sacrifice fly in the eighth. Portland got the run back when Che-Hsuan Lin scored on a wild pitch in the bottom half. Bryce Cox pitched a 1-2-3 ninth to close it out.